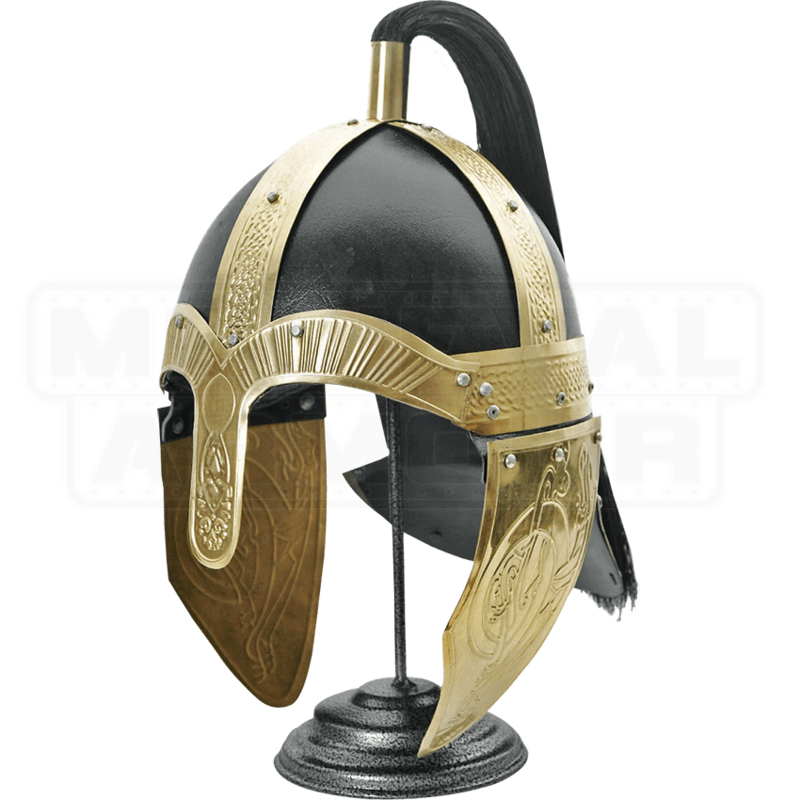 This Ornate Viking Horseman Helm would have made any rider noticeable in battle, as it features not only gleaming detail but also fine engravings, enough so make this helmet a kingly piece to own and enjoy as decoration in your own castle or home. This helmet is fashioned in the style of the early medieval spangenhelm, but its overall detailing makes it so much more than a piece of protection to wear. 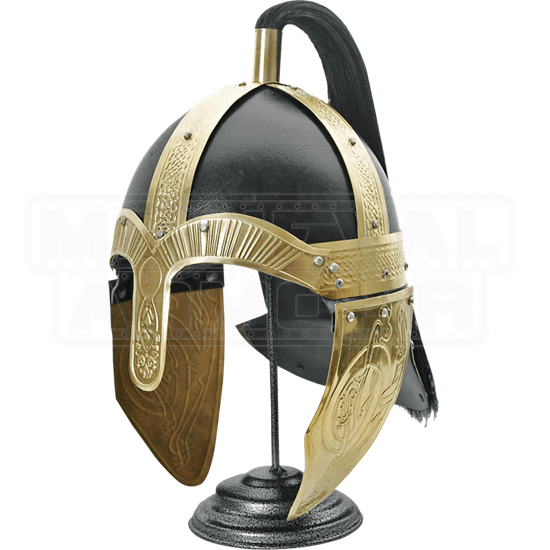 The helmet features blackened skull plates accented with gold-metal reinforcements, each of which is heavily engraved. The designs continue down onto the gold-metal nose-protector as well as onto the matching hinged cheek protectors. Attached to the top of the helmet is a short, black tassel, which adds the final touch of detailing to this impressive helmet. Included with the helmet is a matching helmet stand, for convenience and ease of display.